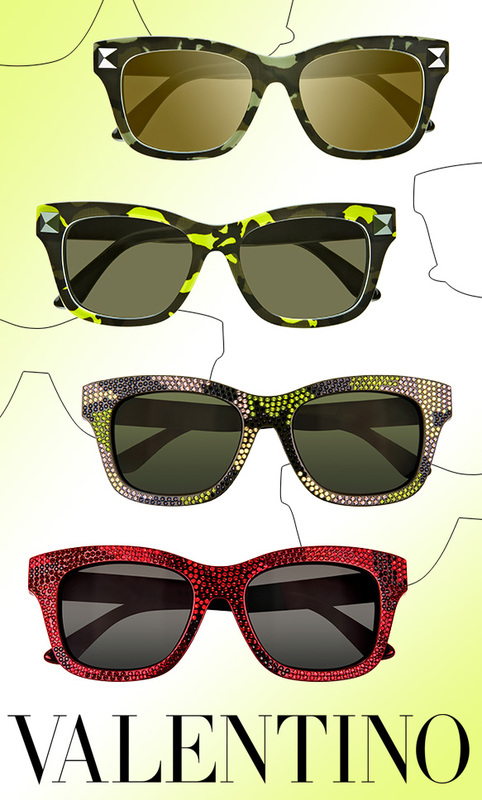 Valentino’s rockstud universe collides with Maison’s camouflage pattern, giving way to urban designs with badass edge. The freshly fabulous “Camulook” and “Camuglam” sunnies offer up the perfect combo of rocker chic vibes and glitzy feminine allure. Boasting vibrant and muted camo prints, with metallic stud accents, the “Camulook” sunglasses are sure to turn heads. Meanwhile, the multi-colored, jewel-encrusted “Camuglam” shades showcase glittery interpretations of the same motif for utterly eye-catching appeal. Ideal for fashionable gals with a taste for wicked rebellion, these updated wayfarers will most definitely add a dose of gnarly style to any look!